Paula Murphy, M.A. (Hons. ), R.C.C. Send A Message To Paula. I am a Registered Clinical Counsellor, Group Facilitator and Clinical Supervisor. I specialize in working with individuals who are struggling with post-traumatic stress responses, relationship issues, and life transitions. My personal experiences, as well as my work with the Victoria Sexual Assault Center, have given me the experience and skills needed to assist people to heal and move forward with their lives after traumatic experiences. Post-traumatic healing, growth and self-actualization are entirely possible with the right support. 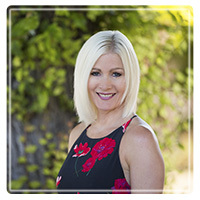 I began my career with a strong interest in Neuropsychology, and graduated from the University of Victoria with a Bachelor of Science Degree. I then went on to study Counselling Psychology at City University of Seattle with a special interest in understanding and working with trauma and how trauma can impact our relationships. I spent my first several years in the field working for the Separation and Divorce Resource Center, where I supported adults, couples, youth and children navigate family change and restructuring. During this time, I deepened my understanding and skills in Response-Based Counselling, Jungian Psychotherapy and Dream Analysis, as well as completed the Somatic Transformation post-graduate training with Sharon Stanley. I am now a Certified Somatic Transformation Practitioner. My passion for neuroscience and post-traumatic growth eventually led me to the Victoria Sexual Assault Center, where I have been working as a long-term Trauma Counsellor for the past decade. I address many different types of issues in my private practice work, but I am particularly interested in working with individuals and couples who have experienced trauma and abuse. I have supported many couples in moving through major life transitions and changes to grow and deepen their bond. I believe any couple can heal their relationship with motivation and support. I am also able to emotionally support couples who do choose to separate and/or co-parent. I believe that we all have the innate ability not only to heal from the past, but to move towards self-actualization. Although life's challenges can leave us feeling frustrated and discouraged, we all have a higher potential to fulfill. We are meant to thrive, not just to survive. I would love the chance to assist you to grow in to the person you were meant to become.